Posey takes on boys (and bullying) in the eighth book in this charming chapter book series for first grade readers! Will Posey ever be able to get along with boys? Probably not. They barely ever sit still, they make lots of rude noises, and they are just plain annoying. But when Posey teases Henry for being a "weirdo," Miss Lee tells her that she's being a (gasp!) bully. 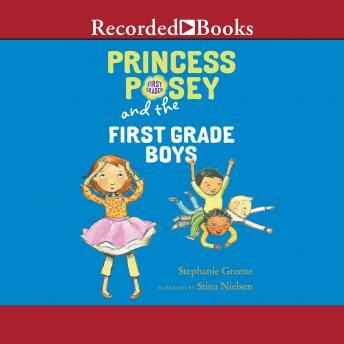 Only by calling on the help of the Pink Princess can Posey step back and see that boys have feelings as well. And maybe, in the end, she can be friends with the boys too.